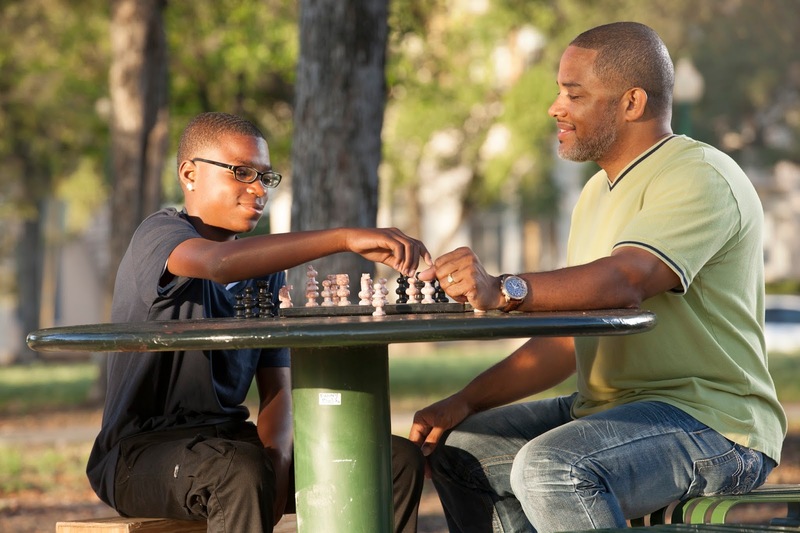 Youth Mentoring Programs: Worth Doing Right? As they should have, these results absolutely took the social services and youth development communities by storm! Mentoring was IN! It was the IT THING of the 90's!! Fast forward to the 2010-11 federal budget justification process when, citing marginal impact, the White House recommended total elimination of the U.S. Department of Health and Human Services’ (HHS) Administration for Children & Families Mentoring Children of Prisoners Program (MCOP) -- $49 million in funding for youth mentoring. This was a fatal blow, for mentoring and for youth. The Obama Administration initially proposed eliminating the program because of evaluation data that showed it "did not have an impact on students overall in terms of interpersonal relationships, academic outcomes, and delinquent behaviors." Obviously, this begs the question: Exactly what happened in between the release of PPV and the demise of MCOP? 1. Ownership: Big Brothers Big Sisters simply did not take credit for its own study results. This 100 year old "feel good" youth organization was so giddy and so validated to be proven effective that it happily shared its results with everyone and anyone who wanted to listen. In early 2000 I personally remember presenting on the results at a workshop on successful youth development approaches. I know that I didn't understand the implications of the message I was communicating. We just wanted all of BBBS's partners and supporters and collaborators to spread the good news profusely. It sounded like a good idea at the time, right? 2. Fidelity: As a result, there was a sophomoric lack of fidelity to the model researched and reported on by PPV by the organizations that subsequently picked up the youth mentoring baton. In it's study publication, PPV described that "to have strong positive impacts on children, only organizations that develop an infrastructure similar to Big Brothers Big Sisters model can expect similar results." The program's success was attributed to the presence of staff support and the agency infrastructure, the "glue" of the mentoring process. This lack of fidelity, in hindsight, clearly diluted the impact of youth mentoring involved in the MCOP project. 3. Accountability: By the time that HHS funded its first MCOP grantees it had learned a few things about program fidelity. Theoretically. Two Request for Proposals across 6 years demonstrated knowledge and increased understanding of the components of effective mentoring programs. Regardless, HHS was unable to hold grantees accountable to any real outcomes. I personally witnessed this as a Peer Reviewer for the Administration for Children & Families. The organizations I visited as a reviewer were struggling to achieve even the simplest of outcomes - such as mentor recruitment and match making, and a few were so clueless that they spent their federal funds on capital campaigns and other non-mentoring programs. ** We "counseled" them and provided suggestions for future activity, but everyone got re-funded. 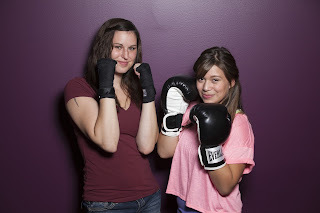 Running a an effective mentoring program turned out to be harder than it looked. Fewer than 50% of the grantees were BBBS agencies. With regard to both ownership and fidelity, it's also worth noting that PPV initially set out to study youth mentoring in general, but found that other than Big Brothers Big Sisters there were no other mentoring programs capable of accommodating a large scale, longitudinal study of youth mentoring relationships. If there were so few qualifying mentoring programs to begin with, it was pure folly and/or wishful thinking for us to believe that qualified programs would just spontaneously form in response to research on one organization, or government funding revenue streams. I also have to point out that in this journey BBBS was definitely its own worst enemy. When PPV told it how effective it was, it asked itself: "How can we do more of this great mentoring stuff?" Faster? And Cheaper!? As if the PPV study said anything about fast, or cheap. BBBS jumped off into a campaign to go from serving 250,000 youth each year to serving 1 MILLION kids. It decided to do this through school based mentoring and the "wholesale recruitment of volunteers" from businesses and organizations such as colleges and civic groups. As if the PPV study said anything about school based mentoring or mass volunteer recruitment campaigns. BBBSA was as guilty of re-writing the rule book as any of the non-BBBS programs linked above or those who applied as unsuitable HHS grantees with good grant-writers. Somehow, though, deep down, BBBS knew something wasn't right. In 2007 it asked PPV to do another study on its school based mentoring program, and it confirmed the fears: BBBS school based mentoring was effective in the first year, but those gains for youth didn't translate to subsequent years because the mentoring relationships were not lasting that long. MCOP was in its second round of 3 year grants when it was de-funded, and I felt the loss even more acutely than most, having served as a member of the National MCOP Advisory Board. All that work, gone. 6 years later, I still mourn the infrastructure we had built up to that point. Children born into families plagued by cycles of incarceration have never had such promising federal attention before or since. With the loss of the MCOP program these kids continue to be 7 times more likely to be incarcerated in their lifetimes as youth whose parents are not in jail. Just because they are born. Talk about a raw deal. Big Brothers Big Sisters does one thing: creates one to one, long term and consistent, face to face mentoring relationships for at risk youth. Youth who do not have the support and guidance of adults that they need to grow up successfully. It implements no other programming. It struggles for funding every year and never meets the demand. Tons of kid fall through the cracks every week, every month, every year. *** There is no funding source that values this service in any significant way. I am constantly asked why the program costs money if it is based on volunteer mentors. We do dumb things like try to compete by creating faster, cheaper mentoring relationship programs. Despite every youth development book I've read, every focus group I've ever been a part of, every youth development collaborative, every mentoring research project that always finds that what kids need, really, really need, is the attention and support of at least one caring adult, BBBS programs across the country struggle. In case you have read this far and still have not clicked on the link that described the results of this landmark study, I provide a short description here: For 18 months "researchers examined the lives of 1,000 10- to 16-year-olds who applied to Big Brothers Big Sisters for mentors. More than 60 percent of them were boys; more than half were members of minority groups, mostly African American. Over 80 percent came from impoverished families, approximately 40 percent were from homes with a history of drug or alcohol abuse, and almost all were being raised by a single parent. Half of these young people were matched with a mentor, while the rest stayed on the waiting list. Eighteen months later, the differences between the two groups were surprising: weekly meetings with a mentor for (on average) a year had reduced first-time drug use by almost half and first-time alcohol use by a third, had cut school absenteeism by half, improved parental and peer relationships, and gave the youth confidence in doing their school work." 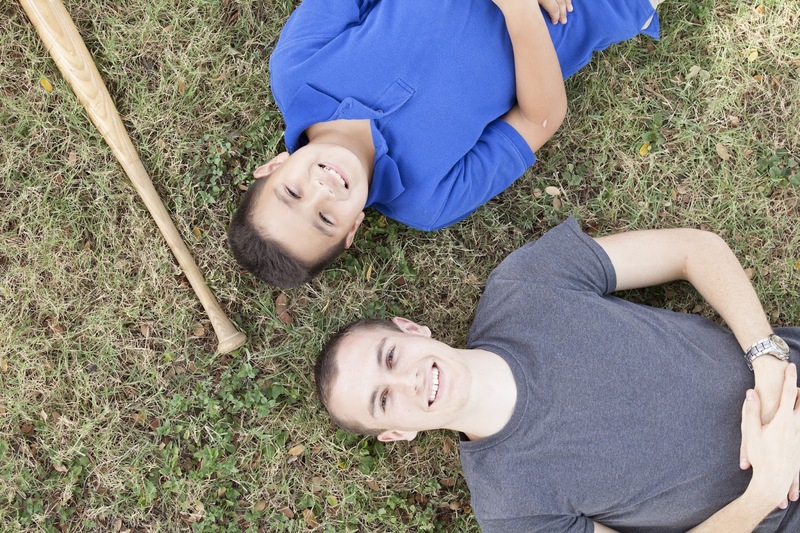 What does a good youth mentoring program look like? How can we assure fidelity to the ideal model? Are we willing to make this investment? Can we afford to continue to pay more for incarceration, year after year after year? Is school based mentoring as effective as community based mentoring? The research appears to indicate that it is not. Is there a difference between tutoring and mentoring? Mentoring is not tutoring and vice versa. Are there PPV-caliber studies on the effectiveness of tutoring? There is evidence for the opposite. Do you have a caring adult in your life if you have a Tutor or a PAL or a Buddy or a Coach or an Agent or similar "friend"? Probably. But does he or she have the same impact as described in that PPV study? Probably not. This is a link to a series of 15 second PSA's that illustrate the power of a positive role model. This is an amazing video of a man who thinks he would be dead without his one caring adult. * San Antonio was one of 5 participating cities in this study. **Mission relevant programming. Many MCOP grantee organizations drifted off their missions in applying for MCOP funding. ***One of the saddest things that happened this year was when we received a list of referrals from Bexar County Juvenile Probation of troubled boys aged 14-17 who had been previously referred to, and unserved by, our program years before. I have no words for this failure. I love an outdoor theater! I attended a “Panic! 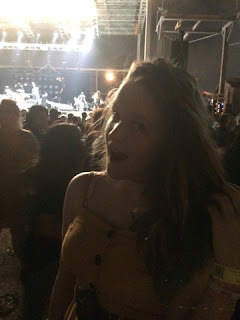 at the Disco” concert with my 14 and 28 year old daughters this weekend in Corpus Christi, and what a different experience this was from my younger concert going days! The band came out exactly when it was scheduled to. Is this normal today or is Panic! just very prompt? My 14 year old didn’t understand the question. I realize that in the 80’s and 90’s, my peak concert-going years, that most of the band members I was trying to see were extremely drunk or high or unconscious and had to be woken up or sobered up before they could play. 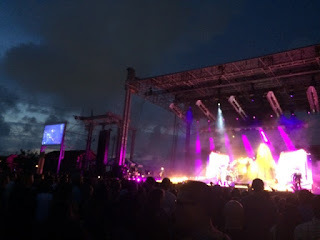 I‘m not suggesting that Brendon Urie and his bandmates should develop any bad habits, but even the ancient Eagles were 20 minutes late to the stage a few years ago when I saw them in San Antonio***. There is something to be said for a little anticipation. There is no dancing. I have pondered this crazy phenomenon among kids today many times before, but I think I uncovered the root cause at this concert: the smartphone. Kids will clap a little, do the fist pump in the air, and some slight head nodding, but honestly, they barely move. I have video to prove it, and that’s how I realized what is going on here. Most of my videos are all jiggly, because I can’t stand still. These kids don’t move because they are always conscious of the video quality they want to produce. As someone who has documented her whole life, I kind of relate, but my videos are still jiggly. But there is hope, as this wiki on How to dance at a rock concert or mosh pit shows us. There was a lot of shrieking, but the crowd never needed quieting down. It was ear splitting shrieking. It could have been The Beatles or The Monkees up there on stage. But the amazing thing about it was that it stops on cue. It’s like only 3-5 seconds of noise-making is allowed at the beginning and at the end of each song. I was absolutely fascinated by this and caught it on video. It's like: Woo-ho. Full stop. Quiet. 5 seconds max of cheering your band. The band needs to move on to the next song, and the kids have to hear every word. It wasn’t very loud. Today’s generation of kids are going to keep their hearing a lot longer than my generation. The mom standing next to me at the back of “The Pit” and I carried on several conversations around what a civilized mosh pit it was and what polite fans they were. Not one body was catapulted out of the pit during the whole set. My ears did start ringing during a half decent drum solo, though. No one was smoking or drinking. I saw a few cloudy vapers and maybe 5 or 6 beer drinkers, but that’s it. The kids were all high on the music. Isn’t that sweet? I did catch a whiff of weed once at the very beginning of the show. The other mom and I looked at each other there in the back of the pit and smirked a little, knowingly. It's more about the band members and song lyrics and less about the music and the beat. Zoe worships the Panic! band members and she knows every word to every song. I was not in love with Angus Young or Steve Perry****, and by no means could I even understand every word they sang. It was more about the beat and the music and the way it made you feel, and the dancing. One thing was definitely the same: The lead singer wore leather pants. 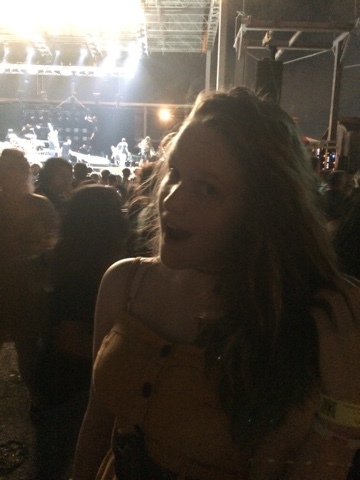 There were 3 bands in the line-up: “Swimming With Bears” which I have never heard of and probably no one got to see because it took over an hour to get into the Concrete Street Amphitheater, was up first, then Panic! and finally “Weezer.” We left before Weezer was supposed to come on stage precisely, I assumed, at 9:35 pm, as advertised. Supposedly though, they and the crowd were a little more older and rowdier. It poured rain about halfway through, “so that made it even more awesome,” my nephew texted me the next day. I typed most of this blog post into my smartphone while Panic! performed a couple songs from albums Zoe doesn't have, therefore I'd never heard. All in all, I think I made very good use of my time, and Zoe was over the moon thrilled. 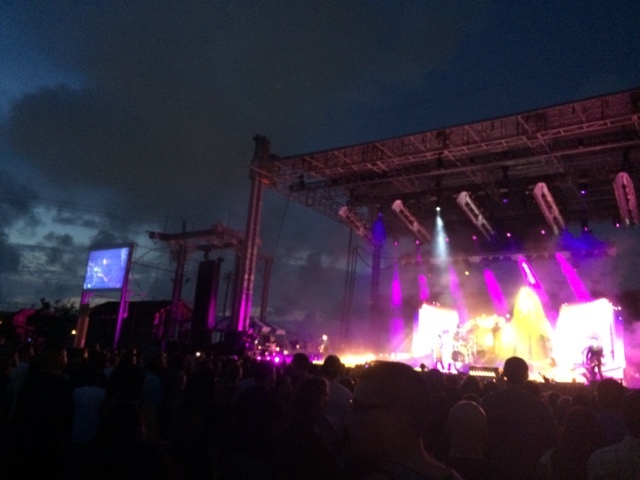 While I had a great time at most of the concerts I went to in my younger days, like most parents, I want my kids to do as I say, not necessarily as I did. Panic! at the Disco was enjoyable enough for all of us. **Just call me "Mr. Belvedere," if you're as old as I am, or "Jesse," if you watch the Disney channel. ***So happy I got to see Don Henley before he passed away.